Guess which foods have more sugar. Reduced-fat peanut butter or barbecue sauce? The barbecue sauce has more sugar! Honey-mustard pretzels or whole gain crackers? The crackers have more sugar! Jelly beans or dried sweetened cranberries? The cranberries have more added sugar! Did you see a pattern there? Foods we think are healthy can be loaded with added sugar! So check the ingredient list. 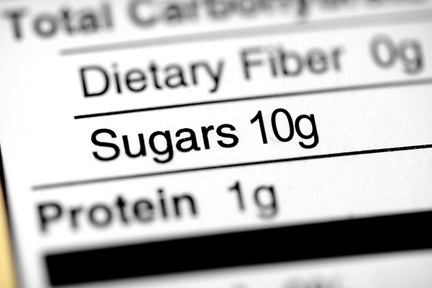 If you see sugar in the TOP 5 ingredients – skip it.